Wash hands. Preheat oven to 375 °F. Using a rolling pin, lay out dough on a cutting board and lightly stretch to a 8 x 12 rectangle. Cut dough into 2 inch squares, so you have 24 squared total. Lightly grease a mini muffin tin and place a square in each slot, gently pushing down to create an indent. Scoop one teaspoon of your spinach mixture on top of each crescent square and gently push in. 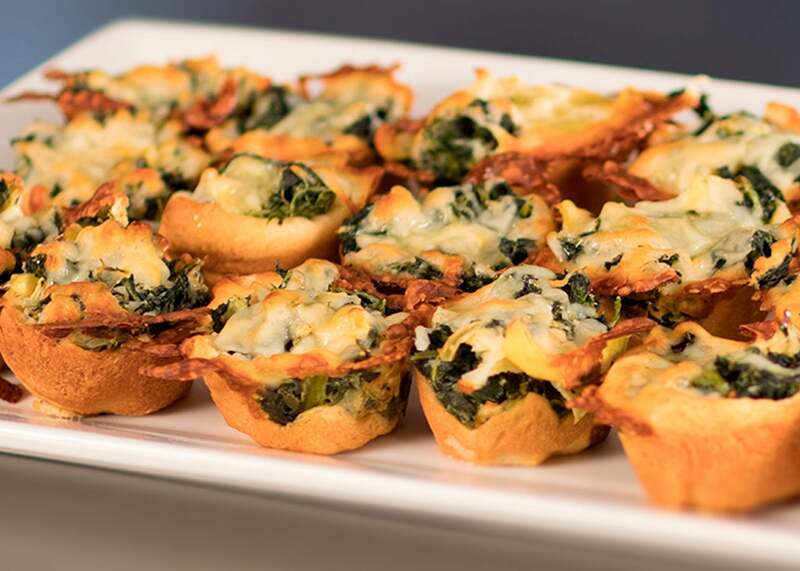 Spread the remaining mozzarella cheese over the tops of each cup. Bake for 15 – 17 minutes, until golden brown. Let cool for 5-10 minutes.